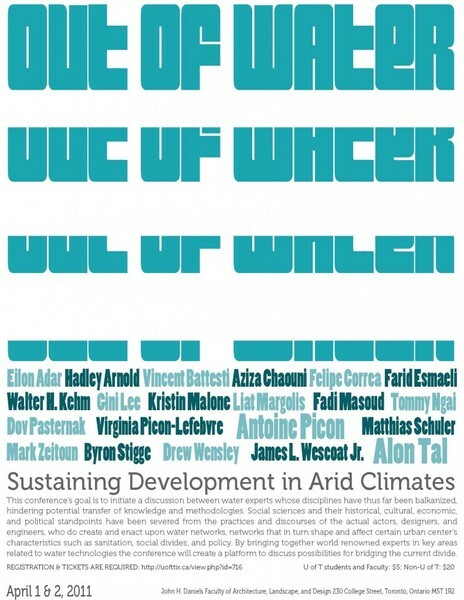 a lecture to be given at the « Out of Water : Sustaining Development in Arid Climates » conference taking place on April 1 & 2, 2011, at the University of Toronto John H. Daniels Faculty of Architecture, Landscape, and Design (Canada). In arid North Africa, control over water has long been (and continues to be), for a wide range of actors, an important issue on both political and economic levels. The presence of oases —a combination of built and agricultural environments — in the Sahara desert relies essentially on the presence of water and a people who master water technology for agricultural purposes. Mastering water technology is itself a perfect mix of “pure technology” (an abstraction, of course) and social organization (of knowledge, of labor force, of land distribution, etc.). As a social anthropologist working in Saharan oases, specialized on the relationships between societies and environment, I conceive the uses of a technology as being the natural fruits of social structures : technology itself is just a set of material, just a potential tool with its own constraints, positive or negative. The initiators of change, if occurs, can be local or exogenous, the invention of a technology too. However, innovation in technology is always local. Therefore, social anthropology contributes to water issues by, firstly, analyzing technologies used and deployed in order to tape and distribute water through local networks, and secondly, by underlying the social choices, and constraints of the present situation, and possibly in the past. The situations in the Jerid oases in Tunisia and in Siwa oasis in Egypt are quite dissimilar, although both share similar desert environments. They can be summarized as follows : in a near future, these Tunisian oases would dry out because of an overexploitation of water, and the Egyptian oasis would sink under too much water also because of an overexploitation of the resource. Both situations are the result of the same new development of modern technologies and of the same supremacy of an engineering perspective with, of course, different impacts on the local anthropic ecosystems. The recent history, and particularly that of the oasis gardens of the Jerid and Siwa regions, shows the social and environmental consequences of control transfer over water from local to colonial and then national elites. The oasis is the scene of conflicts over fresh water resources ; local people are constantly adapting to new situations, learning to diversify their practices and discourses. 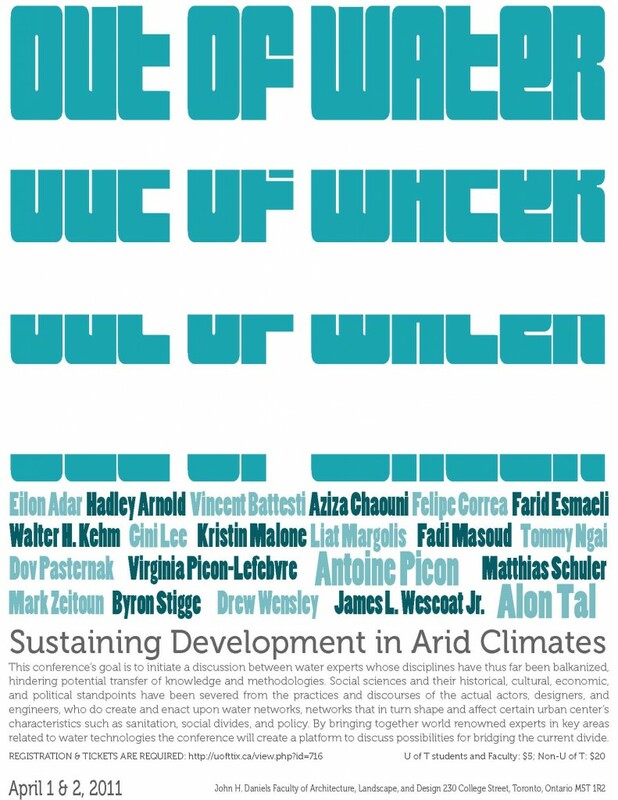 This conference’s goal is to initiate a discussion between water experts whose disciplines have thus far been balkanized, hindering potential transfer of knowledge and methodologies. Social sciences and their historical, cultural, economic, and political standpoints have been severed from the practices and discourses of the actual actors, designers, and engineers, who do create and act upon water networks, networks that in turn shape and affect certain urban centers’ characteristics such as sanitation, social divides, and policy. By bringing together world renowned experts in key areas related to water technologies the conference will create a platform to discuss possibilities for bridging the current divide. Cet article a été lu 2844 fois. Dernière mise à jour de cette page le jeudi 24 décembre 2015 à 17:17:03. //// -----> Citer cette page? Vincent Battesti, "Thirsty or drowned, the strange destinies of hydraulic societies of North African oases (Jerid oases in Tunisia and Siwa oasis in Egypt)" [en ligne], in vbat.org anthropoasis, page publiée le 18 janvier 2011 [visitée le 22 avril 2019], disponible sur: http://vbat.org/spip.php?article563.